My All Time Favourite Lip Product! 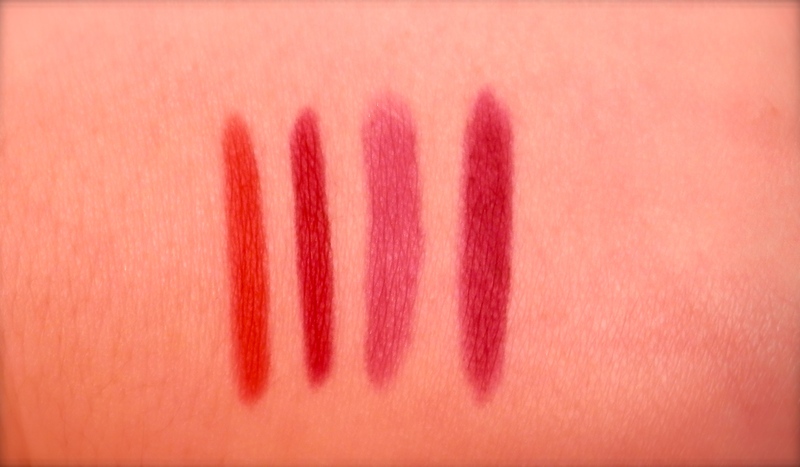 As I’ve mentioned previously Nars Velvet Matte Lip Pencils are my absolute favourite lip product! So I’ve chosen a few of my favourites, I did have more but I have a feeling my mother has been raiding my stash. The first one I ever bought was Red Square, its is a bright orange red which is my favourite kind of red. This is such an eye catching colour that I just keep my eyes very simple just using plenty of mascara and a nice bronzed glow on my skin. The second one down is another red, Cruella. This is a true scarlet red, I tend to leave this one for special occasions because it is a very dramatic colour. Again I keep the rest of my face and eyes very simple so that my lips really stand out. Never Say Never is a pink lilac which is a great colour all year round. I’ve been wearing this a lot lately because it adds a great bit of colour without being overly dramatic. This colour looks fantastic with the dusty pink eyeshadows in the Urban Decay Naked 3 Palette, as I said in my What I’ve Been Wearing This Week post this has been my go to look at the moment. Finally Damned is a rich magenta colour. This is stunning! As it’s winter in Australia I’ve been rocking this a lot on nights out. It is such a rich beautiful colour for this time of year that I just can’t go past it. 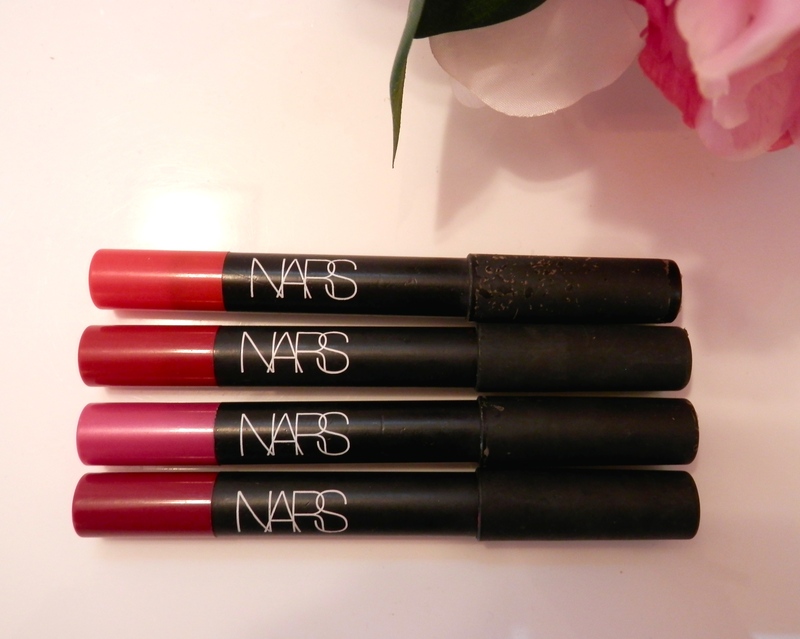 The formula of these is very creamy for such a matte lipstick so it doesn’t try your lips out at all! I honestly can’t tell you how amazing these lipsticks are. Do yourself a favour and go and buy one now!! Let me know if you can suggest any other colours to add to my collection!